Suzuki introduced the maxi-scooter segment in India with Burgman Street 125 and the model has been very received by the customers. But other manufacturers have not shown interest this segment yet. 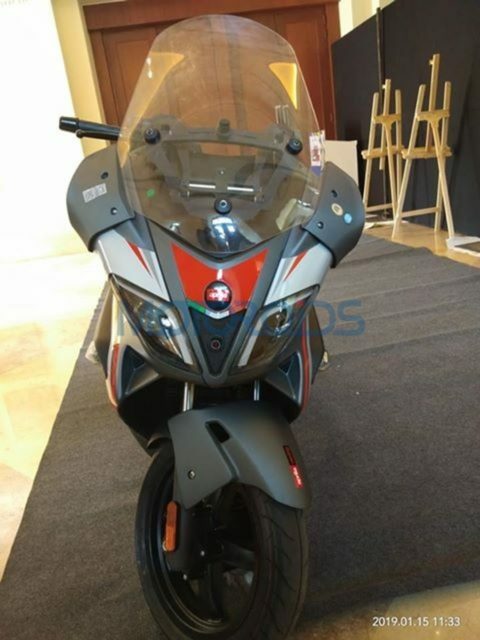 Aprilia SR Max 300 scooter has been spotted in India for the first time and the company might launch this maxi-scooter here. But Aprilia hasn’t made any official announcement yet about the launch. Globally maxi-scooter comes with powerful engines and they offer good performance also. Burgman Street has only maxi-scooter styling as most of the mechanical parts are shared with the Access 125 and it is the best selling 125 cc scooter in India. 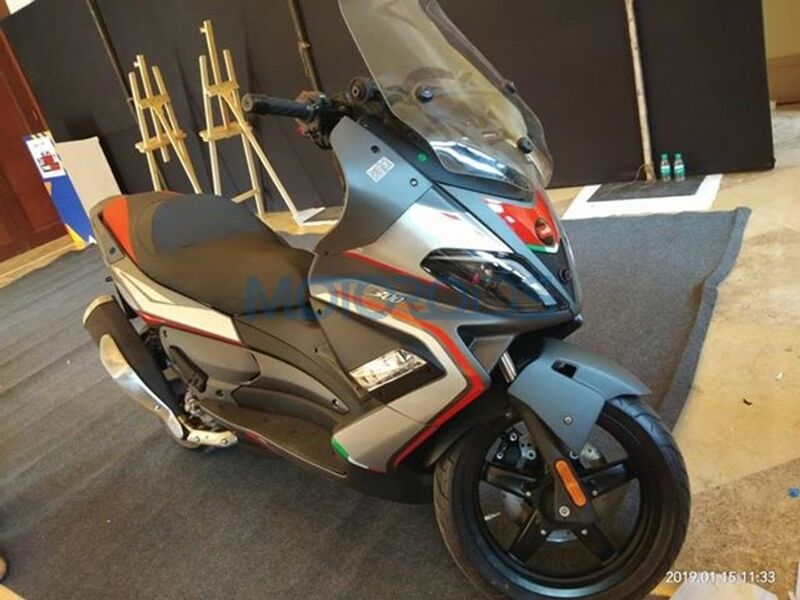 SR Max 300 spotted in India come with a different design for the exhaust, when compared to the global model and the company might have made some changes to meet the emission norm. The maxi-scooter gets dual LED headlamps with integrated LED DRLs and a small grille between them. The company has also given a large windscreen, which can be adjusted for better wind protection. The seat is made from a sport fabric and it is designed to give maximum comfort for the rider. The scooter also comes with lumbar support for the rider. The rear gets LED tail lamps and the company has given grab rails also. The SR Max 300 is powered by 278 cc liquid cooled engine producing 22 hp of power at 7,500 rpm and 23 Nm of torque at 7,500 rpm. This engine is mated to CVT gearbox and the fuel tank capacity is 15 litres (including 2.8 litres reserve). We can expect the scooter to give good mileage. The braking power comes from 260 mm disc at the front and 240 mm disc at the rear. Aprilia is also offering dual channel ABS system as standard with the scooter. SR Max 300 gets 35 mm telescopic hydraulic forks at the front and twin hydraulic shock absorbers with three pre-load setting. The scooter comes with 120/70 section tyre at the front with 15-inch wheels and 140/60 section tyre at the rear with 14-inch wheels. If launched, the scooter will be priced at a premium and it doesn’t have any direct rival in India.